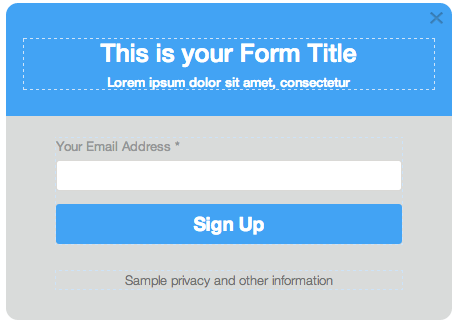 Have you been considering using a popup builder for your landing page? Are you concerned that the risk outweighs the reward? I feel you; you’re not the only one who’s worried. The thing is, pop-ups can be really effective, especially when you use them well and implement the best practices. This article will discuss the five types of pop-ups you can use on your site, outlining the pros and cons of each. I’ll make sure you’re fully informed so you can make your decision with all the information you need when it comes to the choice of the appropriate pop up for your website. Why Use Pop-Ups at All? You want to maximize the potential of your online presence, yeah? You want to succeed, utilizing every new strategy available to your business, and outperform your competitors? Then you need to go with what’s been proven to work. The case-studies are flooding in, with many businesses seeing up to a 40% drop in bounce rate on their website. We’re seeing lead conversion rates of 6.39% and 2000 leads captured in only three months. You may not like them, but they work. They generate leads, sales, and real-world dollars for you company. 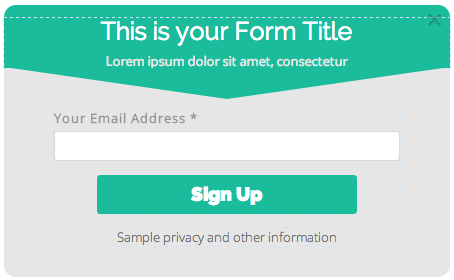 Why is this better than sending traffic to a lead generation landing page? Well, you’ll have to try it for yourself, but our A/B tests are currently showing that we have a higher conversion rate on an ebook pop-up than we do on our ebook landing pages. Incorporating the click pop-up skips the step of opening another tab (and then loading it). This means our blog traffic gets access to the content they want faster. Speeding up the process also encourages our traffic to make a decision. Think about it. Most blog readers who click on a banner offering a comprehensive guide want that comprehensive guide. The reasons not all of them convert on the corresponding landing page are innumerable (page loaded too slowly, something occurred around them in the real world, something distracted them on another tab, etc, etc). If we speed up the process a bit we have a smaller chance of possible leads deciding to bounce. 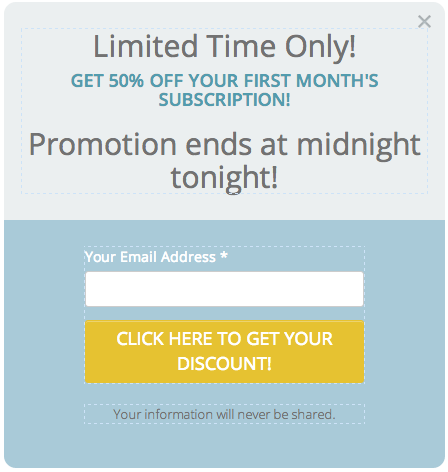 The most common type of pop-up, exit pop-ups use “exit tracking” software to calculate when a visitor to your landing page or blog is planning on bouncing. Hopefully that’s given you a solid understanding of the website popup and the different way you can add it to your page. Yes, pop-ups can be an annoying part of online marketing, and if they didn’t work so damn well we never would have invested so much time and energy creating a tool that makes them easy for you to integrate into your marketing strategy. But they do work well, so there ya’ go. 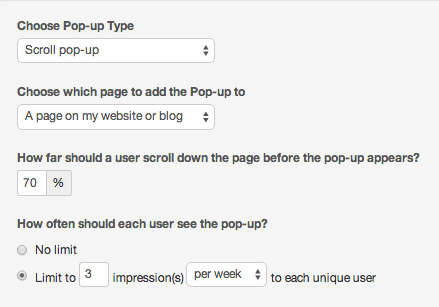 Ready to get started with popups? Check out Wishpond's popup builder tool to get started.